There are around 3,000 cardiac arrests each year in NZ. One third of these happen outside the hospital environment. Many of these cardiac arrests occur in people who have no prior symptoms or warnings and sadly fewer than 5% – 8% will survive without immediate treatment. A defibrillator is a lifesaving piece of equipment to have in an emergency. If a person suffers a cardiac arrest, dialing 111 and performing CPR is not often enough to ensure that they will survive. Having an AED (automated external defibrillator) can increase the chance of survival by up to 40% when dealing with a Sudden Cardiac Arrest. A defibrillator applies a short powerful electric shock to the heart allowing the heart to regain its natural rhythm and so enhances the victim’s chance of survival. 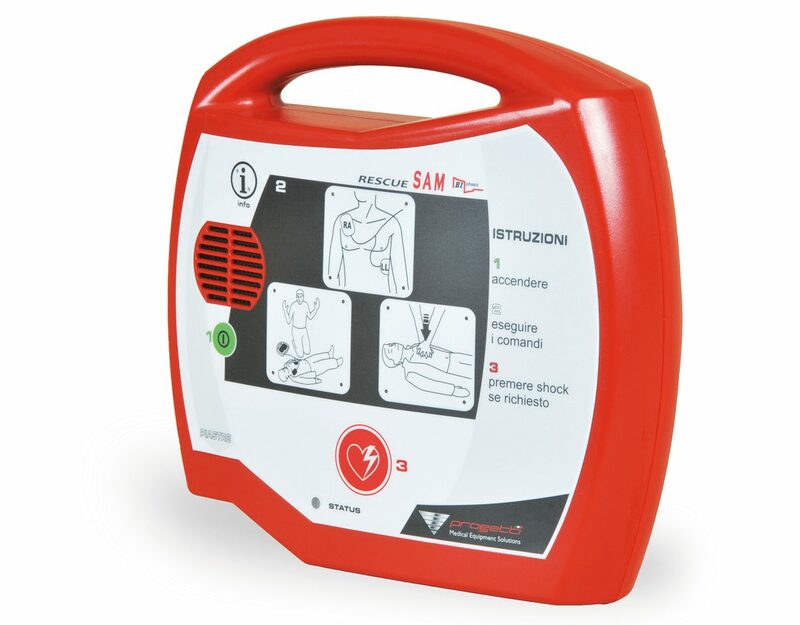 Rescue Sam is a semi-automatic external defibrillator (AED) designed for providing simple and direct voice prompts and indications for a straightforward rescue operation. It is lightweight and battery powered for maximum portability. Rescue Sam is designed to treat Ventricular Fibrillation (VF) and Fast Ventricular Tachycardia (VT). It comes complete with adult defibrillator pads, long-life battery and protective bag as standard. The Rescue SAM features loud and clear English voice prompts with graphics on the main interface to instruct the user what to do. If you would like to discuss this further, please call us on 0800 493 559 and we will be happy to help you. If you have any questions about this product please fill in the form below.